Mike McDonald who appears in his introductory video as an impassioned speaker is a retired Wall Street broker, he tells us in the video that we too can be millionaires before entering a huge luxury mansion. The house is obviously rented for the purpose of the video but this is not the main issue with this trading software system video. 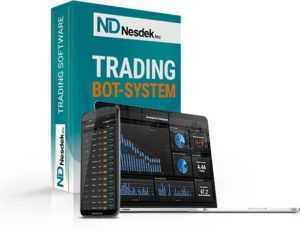 Read below for a balanced an honest appraisal of this “advanced” Nesdek App Trading Software System Method. Neskdek Inc another Scam Software or Legit System? Is Nesdek Inc App worth your time? Read this Nesdek Inc App review to find out all details. Closed Website: http://nesdekcorp.com. Warning: Nesdek Inc App's website might be operating but the business is closed. It is not recommened to register or signup with them as it will not be functioning account and you may lose the money because there will no withdrawals can be made. The problem we here at BOT find with this Nesdek Application advertisement is that the clients Mike names as to give quality to this system do not actually exist and he offers us no proof against this fact. However, that does not mean that there are no good points about this binary trading system and that it is a complete SCAM. We must consider every angle, for each trading software could mean success for you. One positive regarding this binary trading system is at least the video is realistic and truthful about the amount of money needed as an investment to make money with this trading App. 250$ is the recommended investment. As is the case with all binary options trading software, you only get out what you put in. Being clear on this point is a remarkable plus for Nesdek trading app software in our eyes at BOT. They have also a support line at +191423333900. We did call this number and an answering machine is there to leave a message or email them. We have yet to see a single auto trading software which actually have a good customer support. That is why Binary Options Tested is giving FREE customer support to EVERYONE. Mike claims that there are ways to make money without the hard long days of work that he too has endured. They are trying to engage you in the video by making it seem that they have had your experience, been in your shoes. He also claims that the software is getting smarter with every investment that is made. While before the rate of prediction was 75%, the video tells us that it is now 85% of all trades made with this advanced trading software program. In the promo, they ask you to give a small portion of your future winnings to a charity. They are trying to give their binary options trading system some credibility and while we are not convinced of the developer’s honesty, I think it is a nice touch to what is overall a marketing strategy. Warning: Nesdek Inc App's website might be operating but the business is closed. It is not recommened to register or signup with them as it will not be functioning account and you may lose the money because there will no withdrawals can be made.